Impress your guests with this stunning Cardinal Arcoroc J0856 9" Fleur dinner plate. 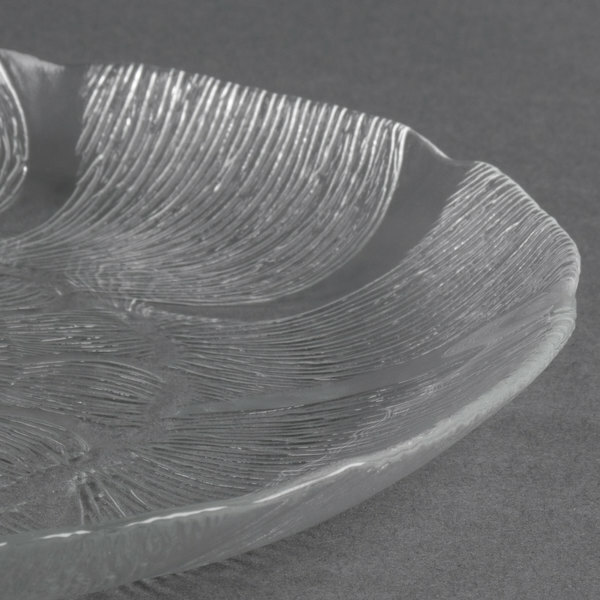 A floral design and sturdy glass construction makes this plate the perfect stage to set all of your main dishes, salads, appetizers, and desserts! 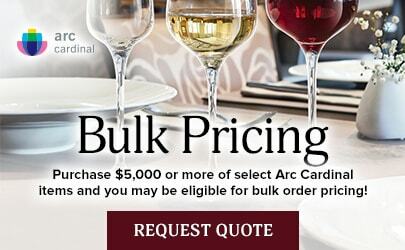 It is sure to add a touch of elegance to any occasion, and its tempered design provides durability and reliability that you can count on in even the busiest restaurants. 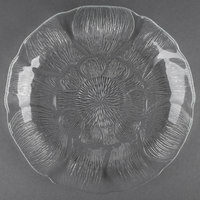 "These Cardinal Arcoroc nine inch glass plates are excellent for cold entrees or salads! Pre-chill them for best use! Great for small appetizers too! Great for displaying cheeses too!!" 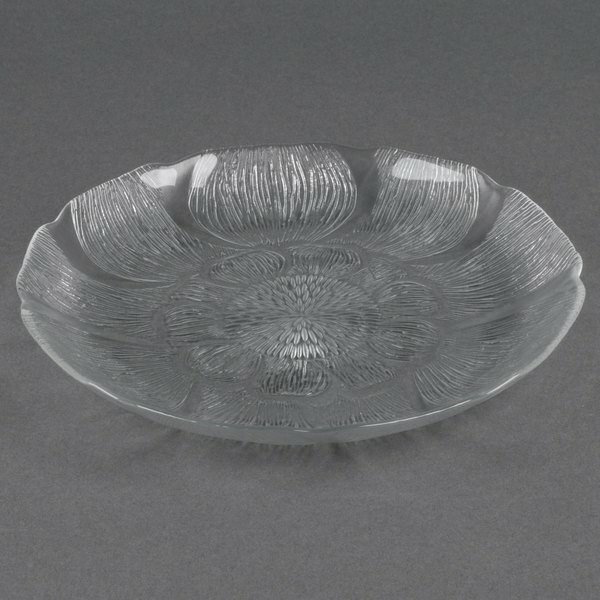 An intricate floral design within the glass adds texture, character, and visual interest to your plate. 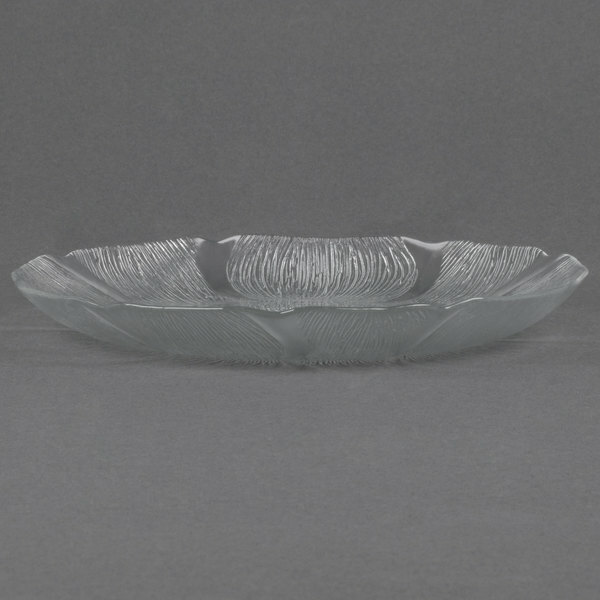 It works on many levels - use it as an upscale salad plate, a display plate for desserts and cheeses, or you can serve all of your finest entrees on it. It's the perfect backdrop for all of your culinary creations. Fully tempered glassware extends the life of the glass many times and lowers replacement costs. The fully tempering process strengthens the entire glass against thermal and mechanical shock. 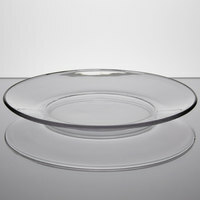 This plate boasts a 9" diameter, which gives it plenty of room to hold entrees, appetizers, and desserts. 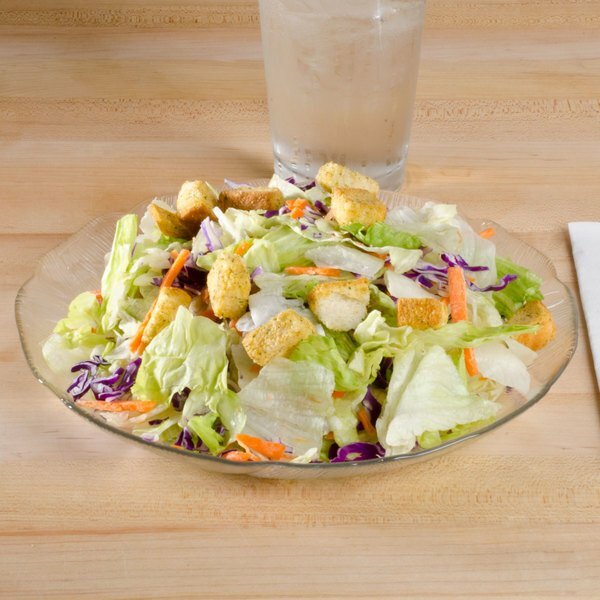 With its clear color, it perfectly complements anything you serve, and ensures that your foods look as good as they taste! 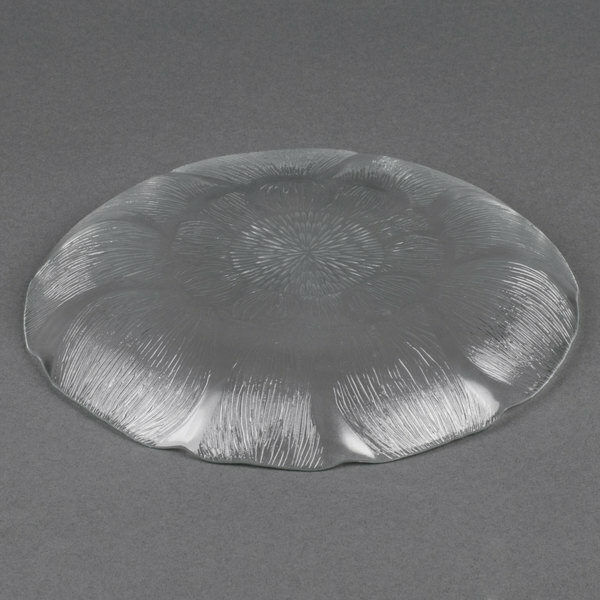 These heavy duty plates are perfect wash after wash and do not sacrifice style or beauty. Our tea room often needs extra plates and these compliment all of our Royal Albert China. The durability means less replacement, and they aren't so heavy my servers can carry them easily. 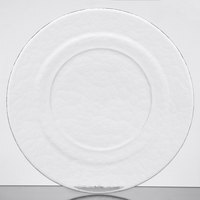 These plates are absolutely beautiful. I was surprised how much prettier they are in person. They are very high quality and I would highly recommend. Can not wait for my first dinner party to use them. Absolutely love these plates! They are thin and don't take a lot of stacking room, but also very durable. I love that they have a small lip around the edges so food doesn't fall off. Great buy! They are actualy what I was looking for, we have a big family and have many wedding & baby showers coming up so they work perfect. 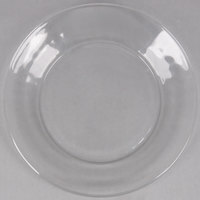 These Cardinal Arcoroc nine inch glass plates are excellent for cold entrees or salads! Pre-chill them for best use! Great for small appetizers too! Great for displaying cheeses too! !